Now this is cool! Right now Walmart has this Trademark Innovations Portable Sports Bench with Case for only $40 shipped (Retail $99.99). 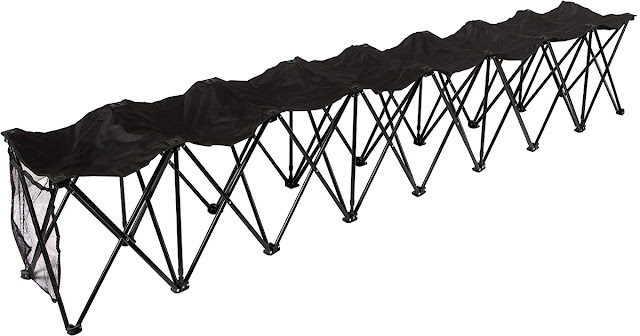 This instant pop-up sideline bench provides seating for up to eight people and it is lightweight and portable with no assembly required. Use it whenever seating is needed outdoors – a child's sports game or tournament, picnic in the park, around the campfire, or just lounging in your backyard!